Ebola: Fatal for Dogs! And Maybe Cats! No matter what part of the world you live in, I’m sure you’re aware of the Ebola outbreak in Africa. Never mind that we’re being told it’s not easy to get it from another person, and that it’s mostly caregivers of the sick that are infected. Nope, we’re all in panic mode, and that means going to any length to prevent the spread of Ebola. Including killing beloved family companion animals. 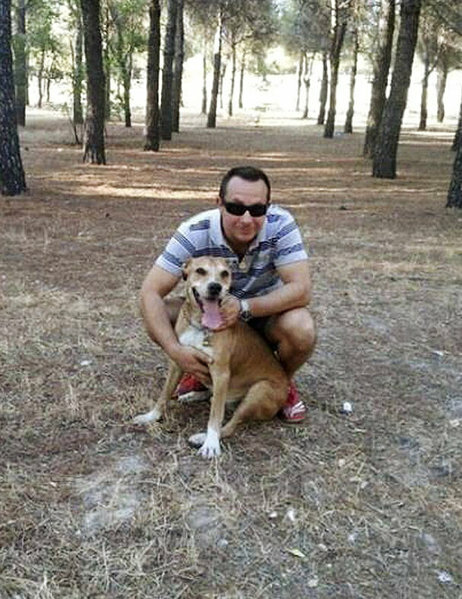 Yep, a nurse in Spain tested positive for Ebola, and because she spent time at home with her dog before being diagnosed, a Spanish court ruled the dog should be killed and its body incinerated. Now I gotta tell ya, I haven’t been the least bit worried about Ebola before. But now I’m avoiding doctors at all cost, lest I be falsely diagnosed and my companions murdered out of human stupidity. Hell, they don’t even know if dogs can transmit the disease! There has been one- I repeat- ONE study conducted to see if dogs can become infected, and that study followed dogs that had eaten infected animals and/or people (well, leave corpses lying around and hungry dogs will do what they gotta do). The findings of that study conducted in Gabon were that dogs can become infected, but remain asymptomatic and eventually the infection leaves them. You mean if Jen gets Ebola, I’ll be killed? What kinda crap is that? Other mammals can carry the infection, and it’s believed Ebola is transmitted through eating bush meat (which is a good reason to not eat animals!). So here’s yet another reason to panic about Ebola, people. It could cost the lives of your dogs or cats. What do you need to do to protect your furry family members? -If you must leave your home, don’t touch anyone! -If your doctor asks if you have pets- LIE! -and, most importantly, Don’t go into the healthcare field! Sorry you puddingheads, I’m not gonna help you. If you get Ebola, then as far as I’m concerned, you’re on your own. But I will help you hide out your dog. 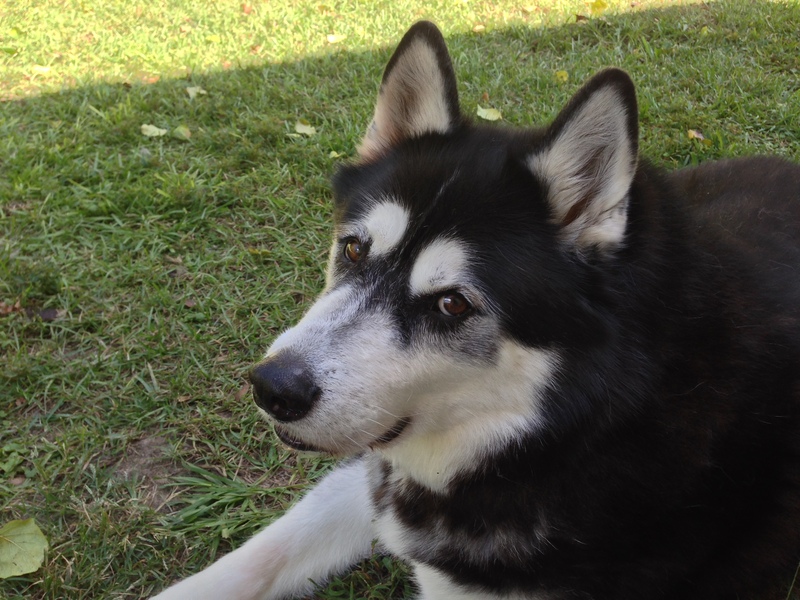 « Will My Dog Go to Heaven? I think I’m safe because my person and I don’t know anyone from West Africa. Oh my gosh, people from west Africa or people who live here in the states and have African accents are being discriminated against because of that thought process. There are already such cases happening in Dallas by misinformed folks. It’s as bad as the thinking back in the early 1980’s that one could catch AIDS from being near a gay person or from breathing the same air as someone with the disease. Ebola is transmitted by contact with infected bodily fluids, thus the idea that animals eating the one is not licking an infected person, sharing a towel or touching the wounds of the infected person from ANYWHERE, dear pup, that is what will keep you safe— not the nationality of the persons you and your human know. Absolutely. And need I remind everyone that it wasn’t anyone from Africa that caused this dog to die. That was Spain! A Spanish healthcare worker that went back to the country for treatment. A Spanish nurse that became infected while treating those healthcare workers. And the dog? Well, I’m pretty sure the dog had never been to Africa either. That should have read “thus the idea that animals eating infected flesh could be seen as a concern and that as long as one is not licking an infected person…” At any rate, shared bodily fluids is the key and no one knows how long the disease remains viable on bed linen, etc. Though there is no cure, and this is the worst pandemic, no one talks about survivors who have ridden it out. One of the variants appears to be one’s health and immune system before the disease as well as treatment during. The weak and previously infirm are less likely to survive it. Well, of course not, Ms. Kathy. That doesn’t make for good panic-driven talk on the 24-hour news channels. This is just my opinion, but I believe that if this had been happening in a country where most of the inhabitants were white, like say Belgium, it wouldn’t be NEARLY as blown out of proportion as it is. We as a species have repeatedly targeted Africa for our ridicule and our abuse. This is just one more time. Isn’t it time all domestic flights in and out of Ebola ravaged places were stopped before it’s too late? I have nothing against medical supplies (all cargo) etc getting into help these poor people as they are desperately in need of them but people who have been in West Africa treating these victims are now becoming victims themselves and starting to bring Ebola out of Africa. It’s going to get difficult tracing everyone that has been in contact with an Ebola victim, and while they are busy tracing them, those people are going out and infecting other people, so it’s little wonder how it’s spreading! Don’t you think it’s a little late for that now? Ebola is a really serious and scary problem all over the world……we didn’t realised what happens to animals that have been with Ebola patients……very sad…. I think that like that Spanish nurse’s husband said they should put the dog in quarantine and observation at first before making the worst decision….. He did, and many animal rights advocated protested the killing of this dog. But, alas, stupidity prevailed. Hmmmmm…… and it’s practically in your backyard. Why would you not hear about that? Supposedly there was a big turnout of animal rights activists to try to stop the dog from being killed, but it didn’t help. That seem to never cut their hair. I have stronger words that pudding heads Jen… Fear is the worst Killer of all.. Absolutely right! I use puddingheads because Dr Who does, and I am a Dr Who fan. Fear rules our world, and blocks our ability to learn and understand. I’m sick to death of hearing about Ebola. My heart goes out to Excalibur, and any other dogs or cats killed in our insanity. Hemorrhagic Fever is a horrible way to die, and a very fearsome enemy of Mankind. But like all enemies, it can’t be fought with fear. It must be fought with knowledge. Nigeria – yes, backwards and primitive Nigeria – has done a much better job of addressing this issue than we have. In the 1970s, their approach to Ebola was to quarantine and destroy any village that housed an infected person. Not unlike the American TB scares of the 1800s, they murdered scores of people, and burned dozens of villages to the ground. Since then, they have learned a great deal about containing, treating and even curing Hemorrhagic Fever. We need to take a page from their book, and not go off on one of our many and legendary witch-hunts. It isn’t without a huge degree of sadness, that I say we’re a stupid nation, populated by idiots and led by morons. I’ve been thinking along the same lines myself and I totally agree with you. Let’s form a group of clandestine dog smugglers! That’s a great idea! They’ll kill my babies over my cold dead body. This is extreme. There is a concern that it’s transferred by fomites and certainly precaution is warranted to disinfect but to kill a dog!!! That’s a sickeningly, pathetic, cowardly way to get rid of the problem. I wonder what that’s going to do for the poor nurses healing. I’d kill me if that happened to one of mine. I need to go take a few tums. I agree. It was unwarranted and I believe will create ill will between government and constituency. Rumpy my love, don’t lick any humans! And this is why the one thing that really frightens me is people who get easily scared. Fear makes people insane. Th is one of the saddest stories in a long time. Shame on ther!!! Morons are running our world. Sad, but true. You can’t tell a Spanish male anything. Tell a guy from Spain it has to be done this way – and he’ll make great pains to show you HE’s doing it completely opposite. Knew it wasn’t going to end well. Even though researchers were begging to put the dog in isolation instead of killing it. And that observing the dog could be of medical and scientific importance. It angers me, and breaks my heart that the people who make these decisions would make them based on panic and fear. Shameful. You might have heard that a nurse in Dallas who tended to now-deceased Ebola patient Thomas Eric Duncan has tested positive for the virus. Haz-mat crews cleaned out her condo over the weekend. She also has a puppy who has been evacuated to an undisclosed shelter. The nurse’s family wants to take custody of him, but officials won’t let them because they don’t know if the animal is infected with Ebola, too. Regardless, I hope they don’t euthanize him amidst the hysteria.